Living Beyond Breast Cancer: Today, LBBC has expanded to assist women at all stages of diagnosis, treatment and recovery. Our mission includes offering specialized programs and services for the newly diagnosed, young women, women with advanced breast cancer, women at high risk for developing the disease, and African-American and Latina women. We also offer programs for caregivers and healthcare professionals to help them better meet the needs of women affected by breast cancer. Ronald McDonald House: Ronald McDonald House of SNJ provides a home-away-from-home to families of seriously ill and traumatically injured children who are being treated at nearby hospitals and operates 11 Ronald McDonald Family Rooms within pediatric units of hospitals across the Southern New Jersey region. Boys & Girls Club of Camden County enable all young people, especially those who need us most, to reach their full potential as productive, caring, responsible citizens. The Club assures success is within reach of every young person who enters their doors, with all members on track to graduate from high school with a plan for the future, demonstrating good character and citizenship, and living a healthy lifestyle. 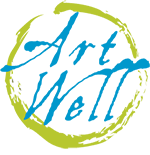 ArtWell: By fostering creativity, enhancing communication and literacy skills, ArtWell helps individuals from diverse cultures and faith traditions to deepen their understandings of themselves and their community and to ultimately reduce violence and increase peace within our city and region. Alicia Rose Victorious Foundation: ARVF partners with children’s hospitals throughout the United States to provide “Victorious 4 Teens” programs and Teen Lounges for teens and young adults with cancer or other life-threatening illnesses. “Victorious 4 Teens” programs, are age-appropriate targeted to fill the gap between pediatric and adult care. Our goal is to give these brave teens something to do, “while they wait for the cure”. Hope Partnership For Education: Founded in 2002, Hope Partnership for Education is an independent education center that serves children, families, and adults in eastern North Philadelphia who live below the poverty level and have struggled in traditional educational settings. American Heart Association: The American Heart Association (AHA) is a non-profit organization in the United States that fosters appropriate cardiac care in an effort to reduce disability and deaths caused by cardiovascular disease and stroke. It is headquartered in Dallas, Texas. The American Heart Association is a national voluntary health agency whose mission is: "Building healthier lives, free of cardiovascular diseases and stroke." Make-A-Wish Foundation: The Make-A-Wish Foundation was founded in 1980 after a little boy named Chris Greicius realized his heartfelt wish to become a police officer. Since its humble beginnings, the organization has blossomed into a worldwide phenomenon, reaching more than 174,000 children around the world. Prostate Cancer Foundation: Since 1993, our unique strategies for identifying and investing in the most promising research programs have generated life-saving results. We channel resources to the world’s top scientific minds—cutting red tape and encouraging collaboration to speed breakthroughs. National MS Society: The National MS Society is a collective of passionate individuals who want to do something about MS now—to move together toward a world free of multiple sclerosis. MS stops people from moving. We exist to make sure it doesn't. Penn Medicine’s Abramson Cancer Center is a world leader in cancer research, patient care, and education. Our preeminent position is reflected in our continuous designation as a Comprehensive Cancer Center by the National Cancer Institute since 1973, one of 47 such Centers in the United States. Alice Paul Institute: The Alice Paul Institute is a not-for-profit 501(c)3 corporation based in Mount Laurel, New Jersey. It was founded in 1984 by a group of dedicated volunteers to commemorate the centennial of Alice Paul's 1885 birth and to further her legacy. The organization was operated by volunteers for more than a decade. Today, four staff members, as well as volunteers, oversee the daily business and special events at Paulsdale.